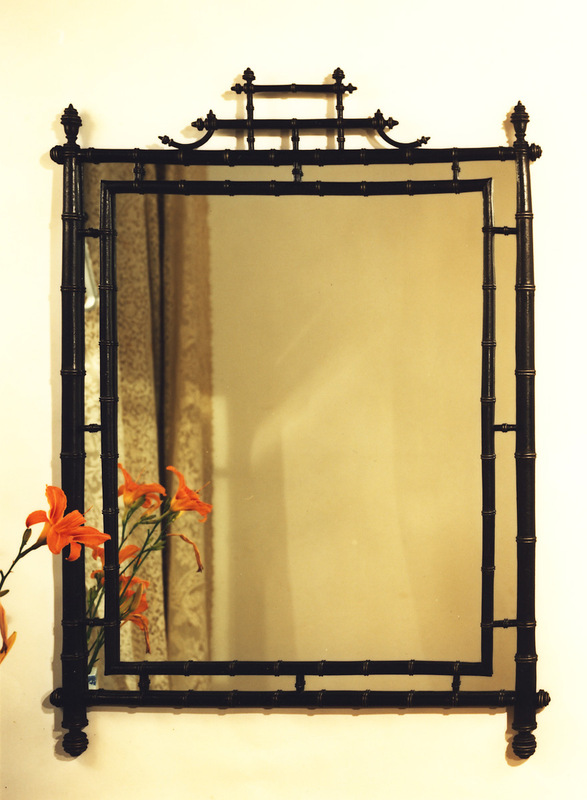 We have adapted this mirror from an antique English fireplace screen made by a company known as Horner. Horner was known for its beautiful line of small bamboo furniture, now seen in museum decorative Arts Collections such as the New York Metropolitan Museum. Shown in faux iron, it is also stunning with an antiqued gold leaf, tortoise shell or Verdi finish.